Netflix coming to YouView by the end of 2014 | What Hi-Fi? Netflix is set to sign a deal with the key stakeholders at YouView, which should mean the streaming movie service comes to YouView set-top boxes by the end of 2014. The Financial Times reports that Netflix has agreed terms with the UK telecoms groups behind the YouView service, which includes BT and TalkTalk. It would be the first pay-per-view service from a competing company to appear on YouView, and leave Sky TV as the only TV provider that doesn't offer PPV content from rival services. BSkyB of course prefers to push its own premium content, from Sky Movies to Sky Atlantic. Virgin Media conversely does integrate Netflix in to its TiVo set-top box. YouView already offers catch-up TV from all the main terrestrial television providers, the company focusing its efforts on customers who don't want to pay for subscription TV but do want the freedom of choice afforded by an internet-enabled set-top box. The addition of Netflix, the best known and indeed our favourite subscription streaming service, will not only allow YouView customers the option of pay-per-view movies but could also see the BT and TalkTalk include Netflix in their various TV and broadband bundles. Netflix is available online on any laptop or computer and via a free app on pretty much every mobile and tablet you can imagine, not to mention plenty of smart TVs. 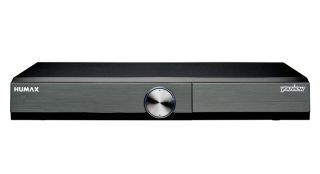 But for YouView viewers, it looks like it will soon be integrated in to the set-top box. Netflix, which has over 50 million subscribers in more than 40 countries, announced this week it would be producing its first feature-length film, in the form of the sequel to Ang Lee's Crouching Tiger, Hidden Dragon. The streaming company has already produced its own TV programmes, such as the widely-acclaimed House of Cards, starring Kevin Spacey, and earlier this year pledged $3 billion on expanding its own TV and film content. Keen to be seen as a future-thinking technology company, Netflix has also been pushing its 4K content, with more programmes set to follow on the heels of Breaking Bad and House of Cards, both of which are available to watch on Netflix Ultra HD 4K, provided you have a TV with the necessary credentials.